Compression Ratio is based on the Ideal Gas Law and is the ratio between Discharge Pressure Absolute and Suction Pressure Absolute. 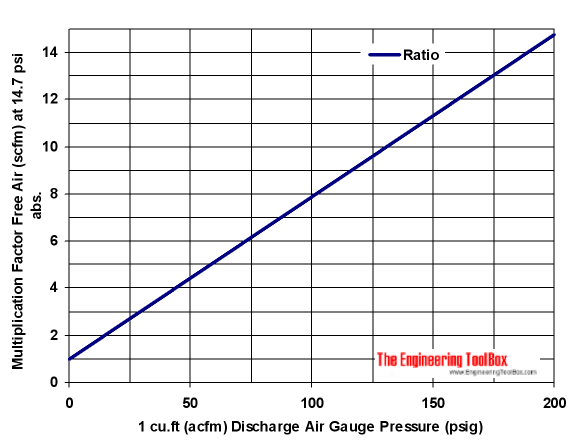 The compression ratio of free air - to compressed air, is indicated in the diagram below. A compressed air volume flow of 10 acfm (actual cfm) at 100 psig must be multiplied with Compression Ratio approximately 8 to estimate the volume of free air at atmospheric pressure. 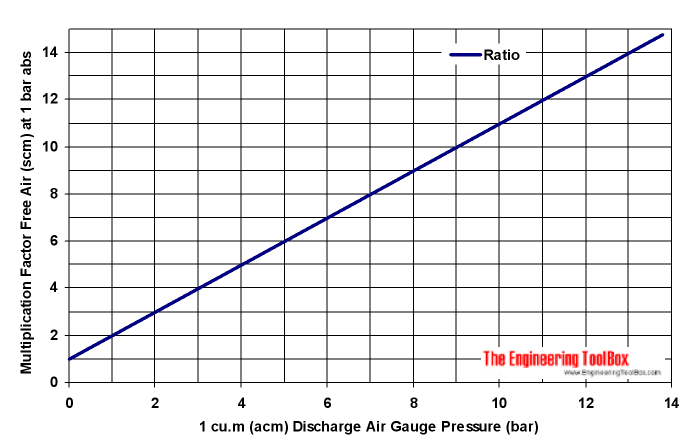 A free air volume flow of 1 m3/s is compressed to 10 bar (gauge) and must be divided with Compression Ratio approximately 11 to estimate the volume of compressed air. Engineering ToolBox, (2008). Compression Ratio - Compressed vs Free Air. [online] Available at: https://www.engineeringtoolbox.com/free-compressed-air-d_1190.html [Accessed Day Mo. Year].